Hippocampus is part of the brain that plays an important role in memory formation. 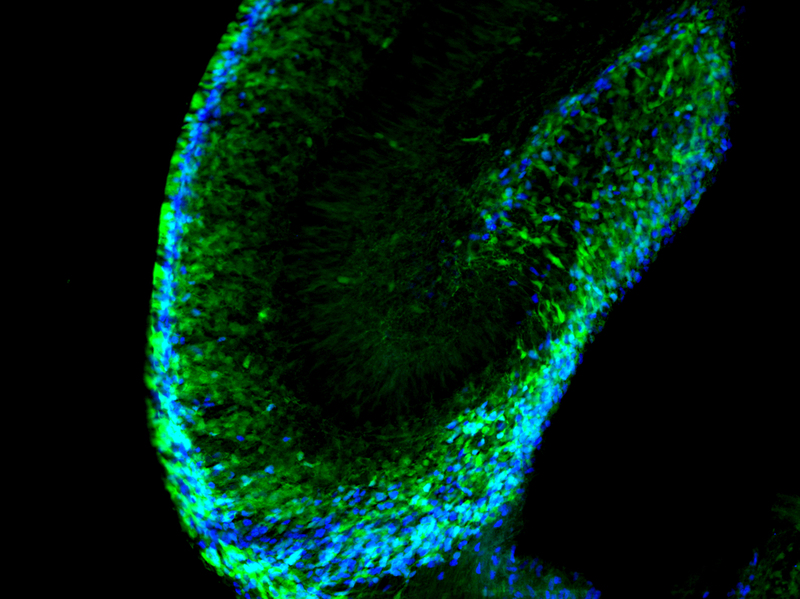 This image depicts mouse brain at embryonic stage (E18,5), stained by fluorescent markers to label neuronal precursor cells which forming the hippocampus. I investigated the formation of the hippocampus during my PhD.